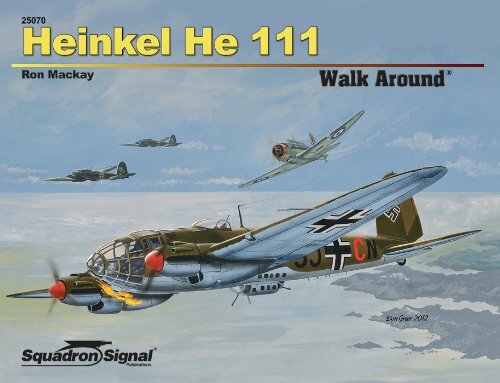 The Heinkel 111 saw service on all of Germany’s military fronts in the European Theater of WWII. 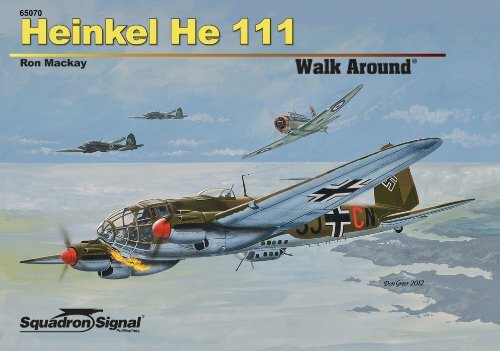 The 111 entered the war as a medium bomber, supporting Wehrmacht ground campaigns. After the tide in the conflict had turned against the Reich and the Allies had achieved air superiority, the aircraft was largely relegated to transport functions. This iconic warplane had its origins as a cutting-edge civil airliner in the mid-1930s, but war was looming and it was adapted for use as a bomber. The first mass-produced versions, the He 111E and F, served in the Condor Legion with Nationalist forces in the Spanish Civil War, paving the way to further military engagement once WWII broke out. Although produced in large numbers and exported to many countries before and during the war, few examples survive today.